Why I want to go to space? As a child I used to read Space Travel, a comic book, and follow Star Trek on TV. I have seen the Star Wars movies, and then got an idea…. why not? Everybody has a dream. Some dream about having a nice summer cottage, others about a handsome sailing boat… My dream is to take this trip and soar into space. Through this website I will share my feelings and experiences along the way, and also some facts about the project. Rocket-Uno Version 3 at Jätemäki, Helsinki, Finland July 3, 2018. 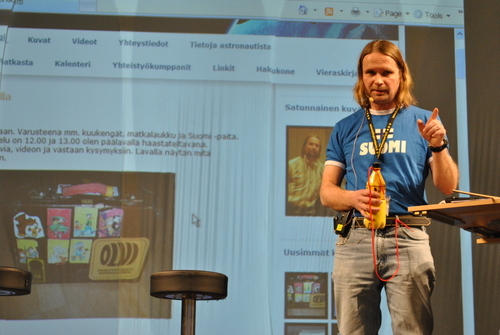 Picture Eerik Lehto. Vesa Heilala and Timothy Kopra at Heureka May 9th, 2017. Vesa Heilala at Heureka, Helsinki 12/2014. Picture Päivi Tuovinen. 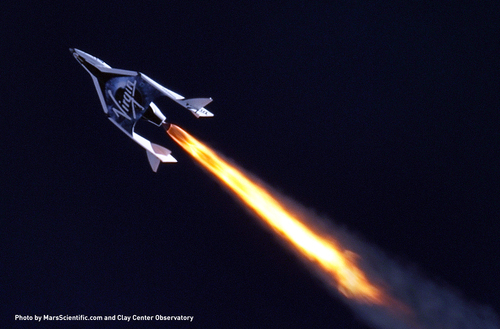 SpaceShipTwo: the first powered flight April 29th, 2013. 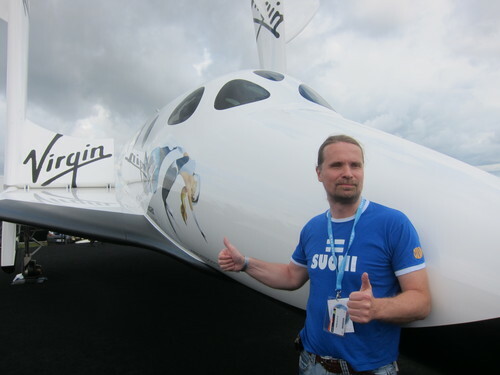 Picture Virgin Galactic. How my journey goes on? My journey began in January 2010 when I paid the deposit for the trip. In the summer 2010, I negotiated a loan from my bank and paid the rest. For me, the total costs were EUR 151, 000 (200,000 US dollars). In the meantime, Virgin Galactic is doing all kinds of tests, which for me means just waiting. 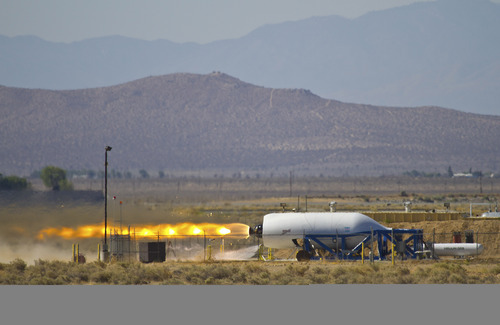 Virgin Galactic has test period going on. The first commercial flights may start in 2019. My turn to go to space is expected to take place a year after the first flights. My flight number is less than 300. Virgin Galactic has sold over 700 tickets to space. I travelled to USA in September 2013. During my visit I trained at NASTAR-center. There was a centrifuge and I got used to G-forces. I also visited the rocket factory in California and I took Zero-G flight. 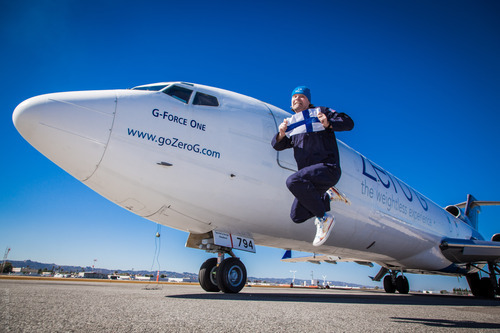 Picture before ZERO-G flight 27th September 2013. You can buy Suomalainen Astronautti shirt, hat or boxers from my shop. 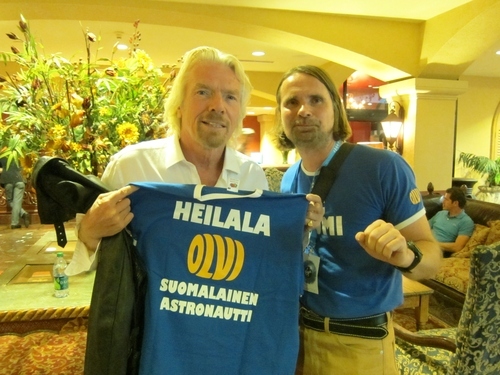 Join the Facebook ”Suomalainen Astronautti Vesa Heilala” to keep up to date. 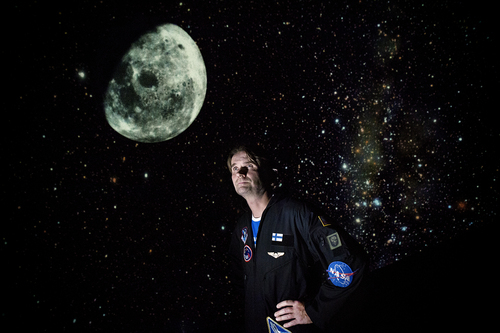 Suomalainen Astronautti -channel has videos from my project. Virgin Galactic is a member of Virgin Group, which is owned by Sir Richard Branson. Branson is enthusiastic about avitation. He takes the first flight to space with his two children. Mr Branson visited Finland in September 2012. Sir Richard Branson and Vesa Heilala October 17, 2011. I visited Spaceport America in October 17 th 2011, where the fligts are made. I saw there the ships and I met other future astronauts. It is amazing to be involved in this project and to be one of the first users for the ships. 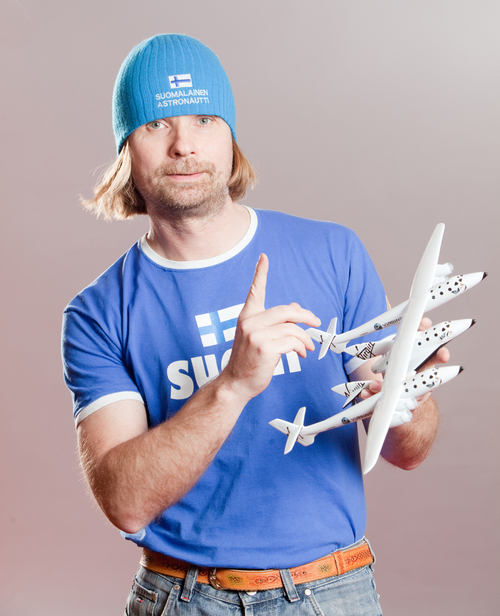 There are three Finns who have booked the flight with Virgin Galactic (the population of Finland 5.5 million). There has been over 500 people in the space from 40 countries in 55 years. 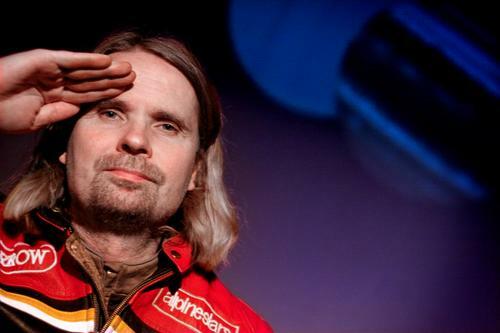 No Finns have been to space yet. 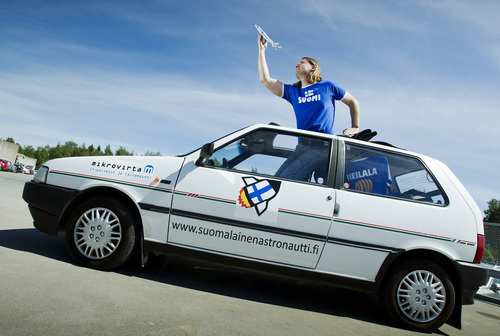 The Finnish Astronaut Car in summer 2012. 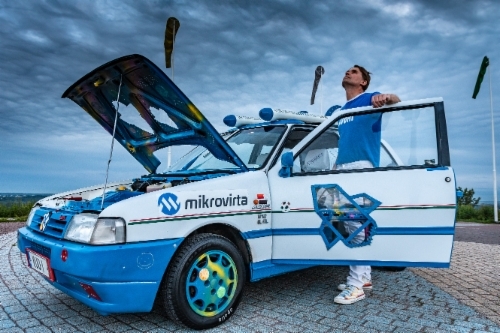 Picture Petri Mulari, Apu- magazine. Vesa and ShaceShipTwo at Farnborough international airshow July 11, 2012. RocketMotorTwo test June 20, 2012. Picture Virgin Galactic. Pictures of MotherShipTwo and SpaceShipTwo.